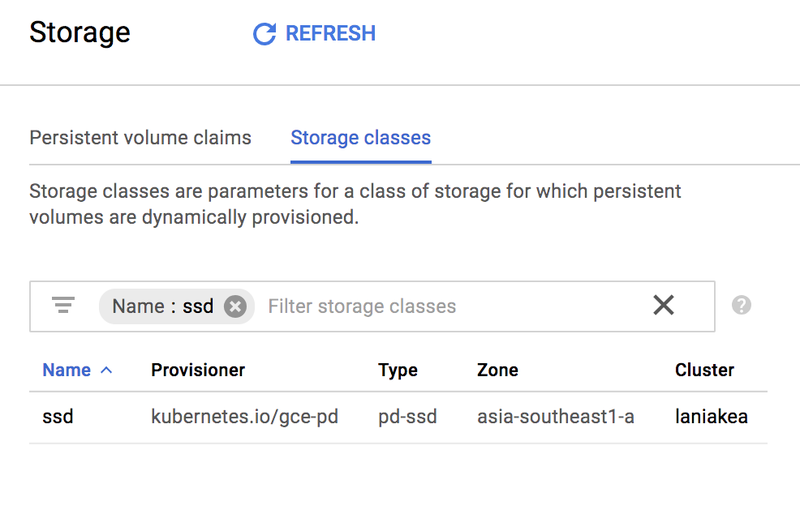 This is a simple guide that helps you to deploy Elasticsearch cluster on Google Kubernetes Engine. This guide should be relevant on any Kubernetes cluster with a simple tweak on the persistent volume part. Enable the persistent volume via Storage Classes. Enable the Elasticsearch node discovery via Headless Service. Deploy the Elasticsearch Cluster via Stateful Sets. zone: asia-southeast1-a for the compute zone. You may update this to your compute zone. You can also use zones parameter for multiple zones like the following: zones: asia-southeast1-a, asia-southeast1-b . If you deploy the Elasticsearch Cluster on other than Google Kubernetes Engine, please update the provisioner and the parameters. You can see the available provisioners and parameters in here. The rest of this guide will applicable to any Kubernetes Cluster. Now, every pod that have label service: elasticsearch should be accessible via $PODNAME.es.default.cluster.local inside a kubernetes cluster. This will helps our elasticsearch nodes to discover each other and form a cluster. It may takes time before the cluster is ready, it depends on the size of the cluster. You can see if the cluster is ready or not by accessing the workloads dashboard. It should show you that the cluster is formed by 5 elasticsearch nodes. A collection of technical articles published or curated by Google Cloud Platform Developer Advocates. The views expressed are those of the authors and don't necessarily reflect those of Google.